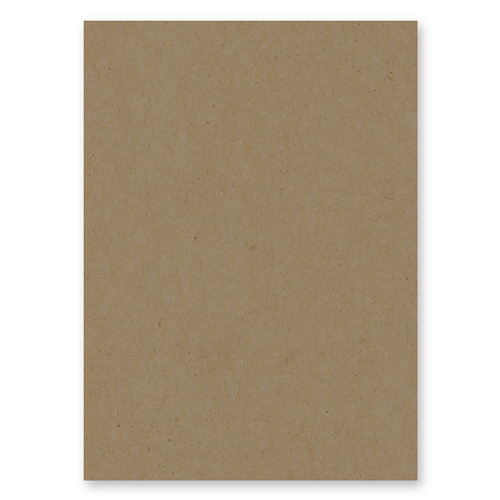 This is an extremely popular SRA3 natural kraft card 280 gsm. This SRA3 card works well in all paper crafting projects, this card gives a cool rustic style and feel. Great for Card Blanks, Business Cards, Layouts, Small Box Making, Die Cutting and takes print well, with either a laser or inkjet printer. Please note this is a true recycled product and paper shades can vary between card makings, due to the paper making process. This SRA3 card works really well with fleck kraft envelopes from our sister web site Ideal Envelopes. Please Note - With our range of recycled kraft card, we do get variations in shade/colour. We have no control over the manufacturing process on this product. This is a fully recycled product, the shade variation is due to the raw materials used in the recycling process and manufacture. We do supply samples but shade/colour of products within this range is NOT guaranteed. We make this statement so customers are fully aware of this situation. Very good service. I have purchased this before for use in making ShabbyChic wedding invites and it is brilliant.